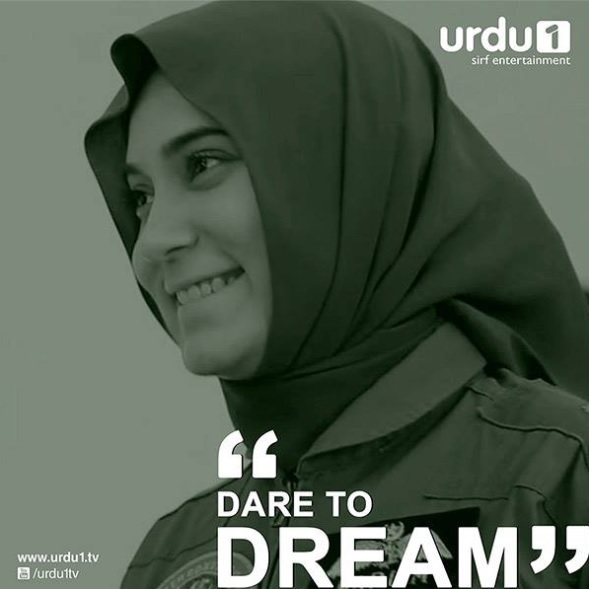 Plane banana koi bari baat thori hai, plane urana bari baat hai …..This awe-inspiring short film summed up Marium Mukhtiar Shaheed’s inspirational story of courage and commitment in a very clear manner. 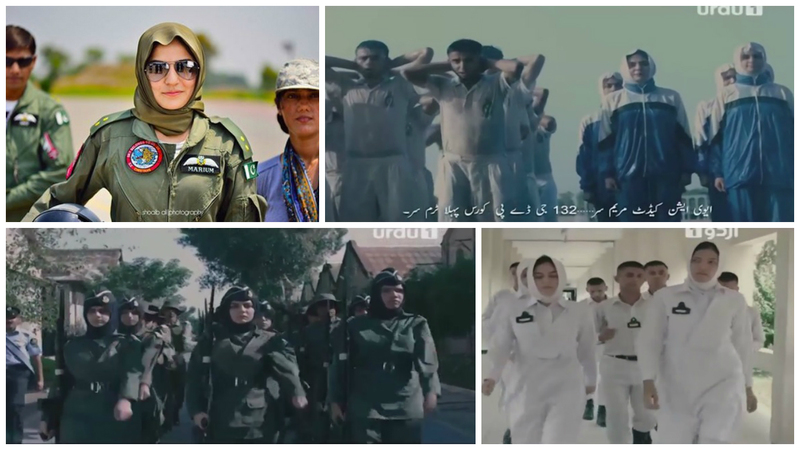 Ek Thi Marium is a short film with some very strong and concise messages which were beautifully conveyed through different scenes and summed up flawlessly in the end. The opening scene of a short film or a drama says a great deal about what it has to offer. Therefore the powerful yet very subtle messages about how this passionate young lady was raised made it very clear right at the outset that this story will prove to be not only inspirational but also very emotional. The opening scene showed that Marium was always an extraordinary girl even when she was little she liked to dream big and excelled in her school. She was fascinated by birds in the sky and wanted her name inscribed on her school uniform. Her father was her role-model and her mother was her strength. 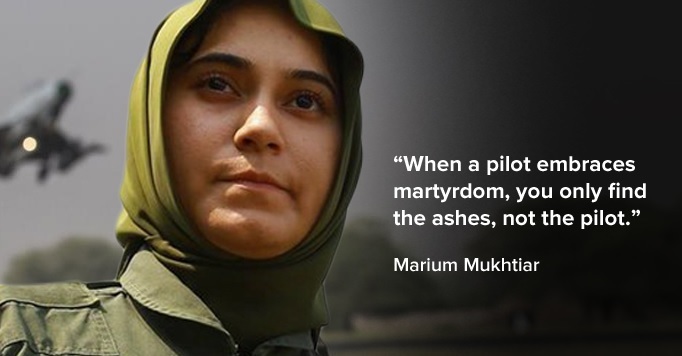 The support of her parents who always believed in her played a pivotal role in making Marium a fighter pilot. Even though Marium’s parents supported her but they also made sure that when Marium could do even better without their support, they took a backseat in her life. Marium’s relationship with her family, her reaction when she started her life as a cadet and minor details like the way she touched the jet for the first time made her character more human. There wasn’t an attempt to show Marium as a perfect human being, there was a time when she too was tempted to give up but once that phase was over Marium’s passion for flying never allowed her to pause again. Her time in the academy was covered in a very impressive manner. This short film managed to transfer me to another world which was very different from the one we live in! Ek Thi Marium had some very strong messages which are the need of the hour. Marium’s true story has been intelligently used by the writer to send out positive messages. Lrke lrkiyo mei koi farq nahi hota aur mujhe tu meri lrkiya buhat pyari hein – this is the kind of thinking with which girls like Marium Mukhtiar are raised! Parents who have confidence in their daughters and value them allow them to grow as strong individuals who are capable of achieving something big in life, of doing something extraordinary. Mere aur Mukhtiar ke liye tu hamari betiyan hi sona hein, bus parha likha ke unhe kundun bana dei gay – this was another apt and powerful message the significance of which was ten-fold because of the fact that this is the story of a girl who proved that parents who focus on their daughters’ education more than their dowry are the ones who raise daughters who are empowered and have high self-esteem. Mujhe GD pilot banana hai….aur mujhe USA ka president!! – This was another meaningful scene which had a hidden message. It went to show that no dream is too big as long as you work hard to make these dreams come true. Many such scenes went to show that Marium was always gifted, she was special – the chosen one – who was destined to do something amazing. Ab sari zindagi ghalt profession mein zayan krne se behtr nahi hai ke aik saal aap sahi profession ke liye zayan kr dein? This was another scene with yet another message for all the young people out there; follow your heart, if you know you are meant to do something else in life, give it at least one shot! Sanam Baloch is a phenomenal actress who has always translated all of her characters on screen effortlessly. No other actress would have been able to breathe life into Marium’s character the way she did. The poignant lyrics of the OST which said a great deal about Marium’s journey and her personality added to the beauty of different scenes. The child star playing Marium also performed brilliantly. Behroze Sabzwari and Hina Bayat’s acting was equally impressive – there were times when I forgot I was watching a film because everything was so real! Ek Thi Marium also has strong supporting characters who managed to leave their mark even though some of them (like Marium’s fiancé) did not get a lot of screen time and all the actors playing these characters played their parts impeccably. Ek Thi Marium is a remarkable short film which will give you goose bumps. It overflows with scenes and dialogues which are deep, meaningful, endearing and emotional. 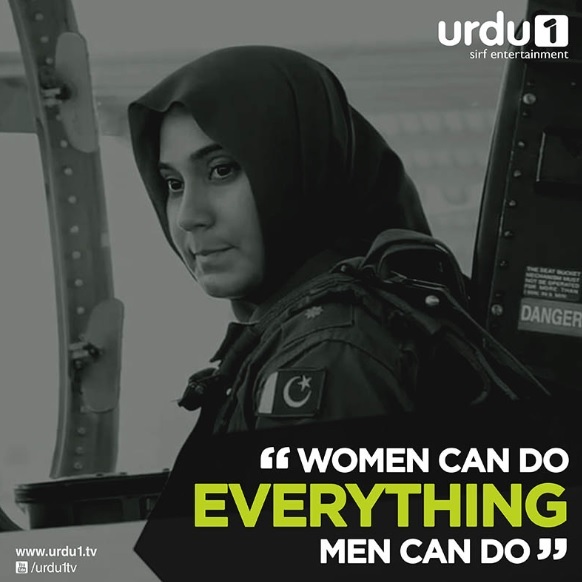 At a time when our dramas are not giving their female viewers a lot of positive role-models to look upto, Marium Mukhtiar’s story was truly uplifting and much needed. Also, airing this short film on the 6th of September was a very intelligent decision. This was the ideal time for showing a short film focusing on a determined girl who was very passionate about her goals for many reasons. It has been a while since we watched something penned down by Umera Ahmed therefore it was an absolute pleasure watching a film written by her especially because it was right on point. The treatment given to this film by Sarmad Sultan Khoosat turned it into an art film. The director of photography Qasim Ali Mureed also deserves a special mention here because without him this film wouldn’t have been this perfect. It wasn’t over-dramatic and that was why the messages had more of an impact. The scene in which Marium’s jet crashes was shown very wisely. The entire team of Ek Thi Marium deserves standing ovation for a job well done. I hope that they will continue making these great films which serve a much bigger purpose. Marium Mukhtiar Shaheed is not with us anymore but she has left a legacy which will be a source of inspiration for many girls out there. Also, we are blessed with amazing people like Marium Mukhtiar’s parents who raise daughters we are truly proud of. At the end of this short film I couldn’t help but wonder how much this beautiful, high-spirited girl would have achieved if she had lived! Ek Thi Marium is a must-watch, I highly recommend it to everyone who has not watched it yet. Those of you who watched this beautiful inspirational short film, please do share your thoughts about it. I found this video clip of Marium Mukhtiar’s mother’s thoughts on her daughter and her philosophy of life right after the crash. Her determination and philosophy of life is exemplary.